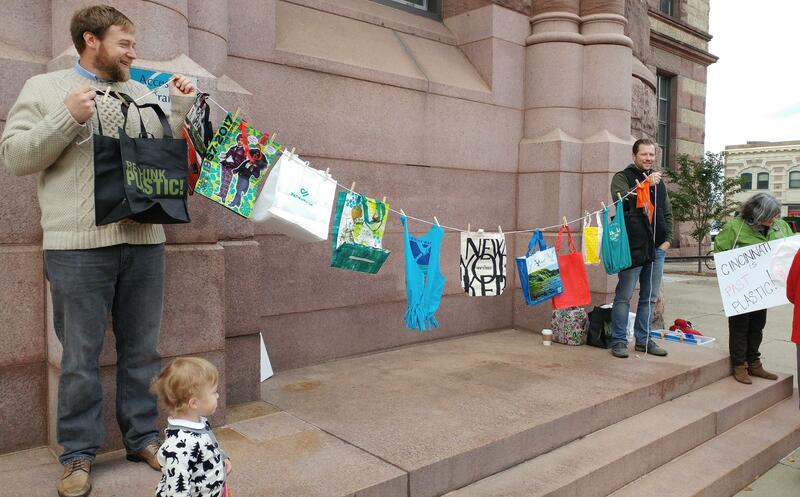 Members of the BYO Bag coalition hold up resuable cloth bags to promote their use over single use plastic bags. A coalition of environmental and religious groups wants to reduce the number of plastic grocery bags floating around Cincinnati. The B.Y.O. Bag coalition wants City Council to get involved. Nathan Alley is the chair of the city's Environmental Advisory Council, but is acting with the groups to encourage the use of reusable bags. He says council has already taken a step. 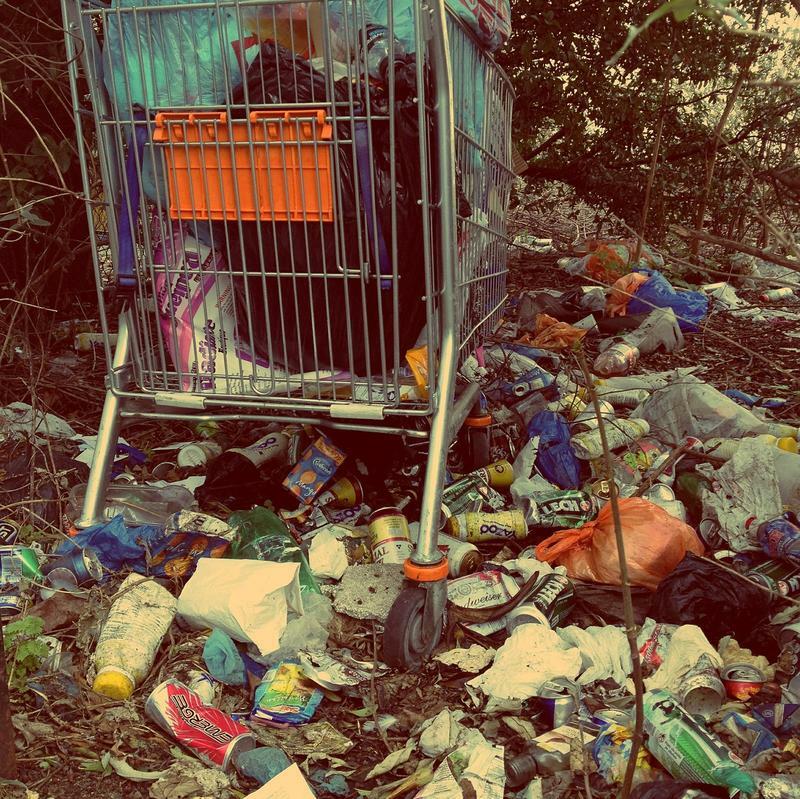 "In 2013 the Green Cincinnati Plan included a measure encouraging the city to act by 2017 to reduce plastic bag litter. Well, it's time to act now." Alley says the coalition wants council to include plastic bag reduction in the updating of the plan for next year. He says other cities' fees range anywhere from five to seven cents. Allen wants council to discuss something, perhaps a surcharge on bags, by next spring or summer. He says it's okay if lawmakers take their time. "We want to make sure that we're careful and thoughtful about this and that we don't disadvantage anybody through our actions." Alley says plastic bags are a waste of resources, contribute to pollution and clog the sewer system. Keep Cincinnati Beautiful is teaming up with the Ohio Department of Transportation for a clean-up project Saturday focusing on the city’s dirtiest entrance and exit ramps on Interstates 71 and 75. Volunteers are asked to report to the ODOT location at 1400 Seymour Avenue in Cincinnati by 10:30 a.m.
Officials are working to update the city's sustainability plan called Green Cincinnati. Environmental Quality Director Larry Falkin said it's the roadmap preparing the city to be environmentally, economically and socially successful in competitions with other cities and parts of the world. The plan was drafted in 2007 and city council adopted it a year later. Now Falkin said it's time for an update.